Police have been investigating the shooting death of a man on Nolensville Pike. The man was found shot in the torso in the 4100 block at Las Cazuelas just before 8:45 p.m. Sunday. 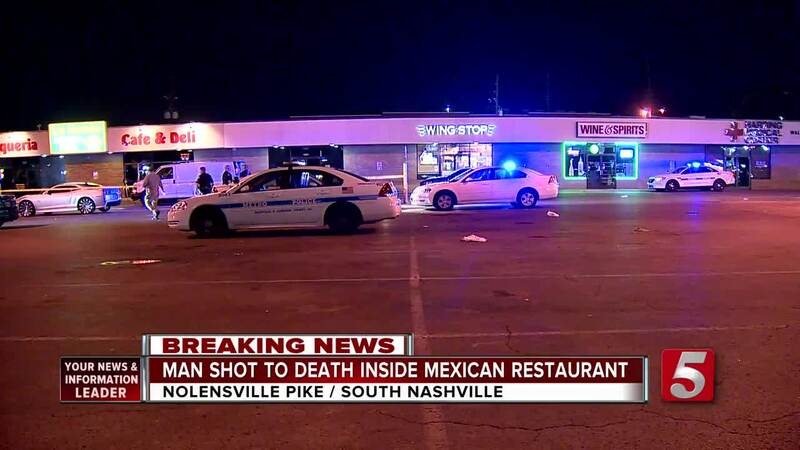 Police have identified one of two suspects wanted in connection with a fatal shooting at a Mexican restaurant in South Nashville. An investigation got underway after 34-year-old Mario Alberto Garcia Lopez was found shot in the torso at Las Cazuelas, located on Nolensville Pike, just before 8:45 p.m. Sunday. He died at the scene. Authorities said a motive is not known at this time. Metro Police said 30-year-old Juan J. Chapa has been identified as a suspect in the case. He and his alleged accomplice were seen on surveillance video entering the restaurant. Police said Chapa and the accomplice casually walked into the restaurant and went directly to Lopez, who was seated at the bar. After speaking with Lopez for a short time, the two persuaded him to go with them into the restroom, investigators said. Shots were heard and, according to witnesses, the two suspects walked out of the restaurant into the parking lot. Detectives found photos of the two suspects on social media. However, the names given on social media were fictitious and Chapa’s true name was just confirmed. Anyone seeing Chapa or knowing the identity of the alleged accomplice was urged to immediately contact Crime Stoppers at 615-742-7463. Callers can remain anonymous and qualify for a cash reward.